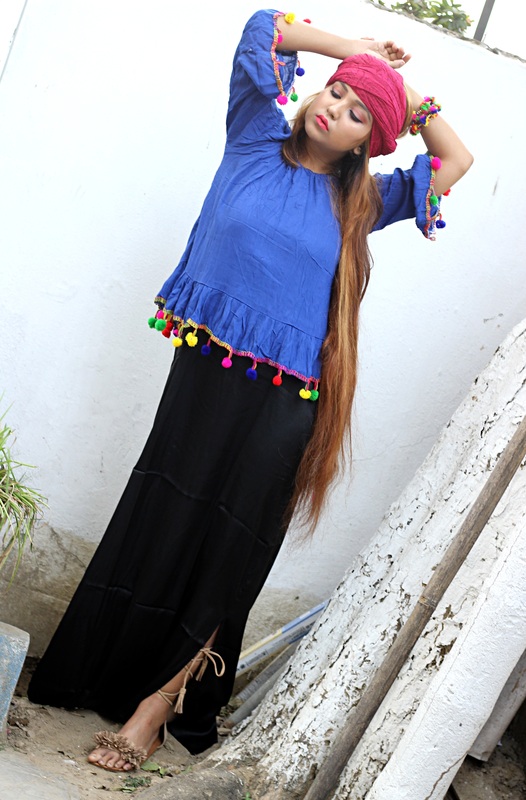 I am just too happy to write a post on this outfit because I just love bohemian style. So today I wore a beautiful dress which just became too cool as I wore a pompom top on it. This dress is from myntra I love the silky touch on it. The pompom top I got it as a gift. 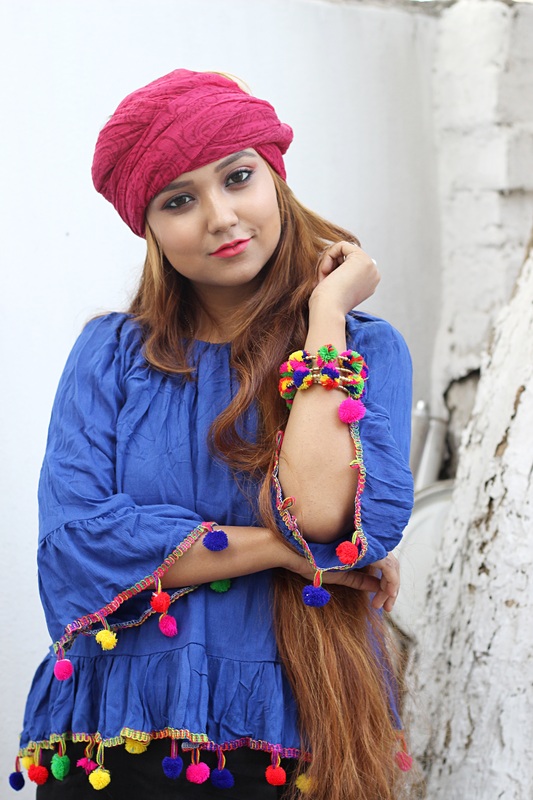 But as you all know I like to mix and match, so I wore a pink turban which I made it with my dupatta. I wore a flat gladiators from Paylessshoesource , I am just so much in fond of this flats, they are so trendy and its just enhancing my bohemian look. This brand is literally awesome because their shoes are so much comfortable to wear. Also I wore a pompom spiral bangle which is just my favorite. I got it from a fair. See you again in my next post till then keep styling.